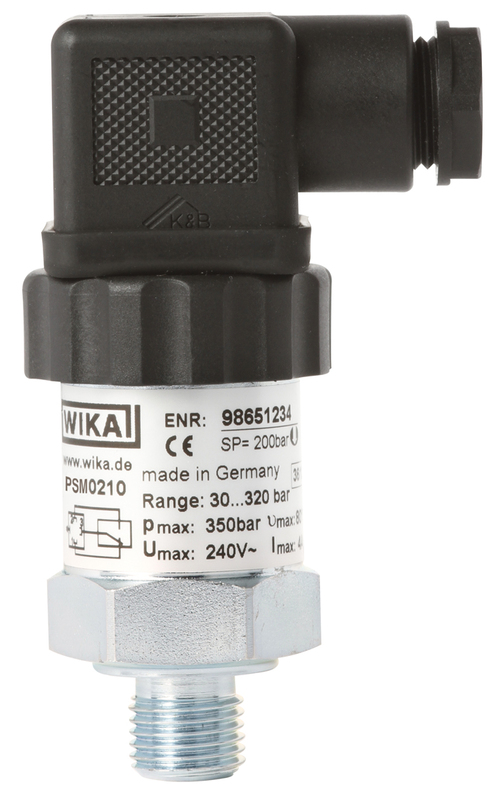 The flicker-free operation of the snap-action switch is the prominent feature of the new OEM pressure switch from WIKA. The compact model PSM01 and PSM02 instruments achieve a reproducibility of ± 2 % full scale. Due to their high accuracy and their robust design, the new pressure switches are suitable for a broad spectrum of applications, even under harsh conditions. The fitting of the PSM01 is made easier by its socket wrench mounting. Both switches work in the ranges of 0.2 ... 2 bar up to 40 ... 400 bar, while with the PSM02 the hysteresis can also be specified. The switch parameters can be easily adjusted on-site using the adjustment screw. WIKA also offers factory setting of the required switch point and hysteresis. 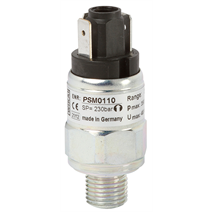 Both versions of the new pressure switch are designed for the OEM market. As a result of their favourable price/performance ratio they are also suited to smaller-scale requirements.